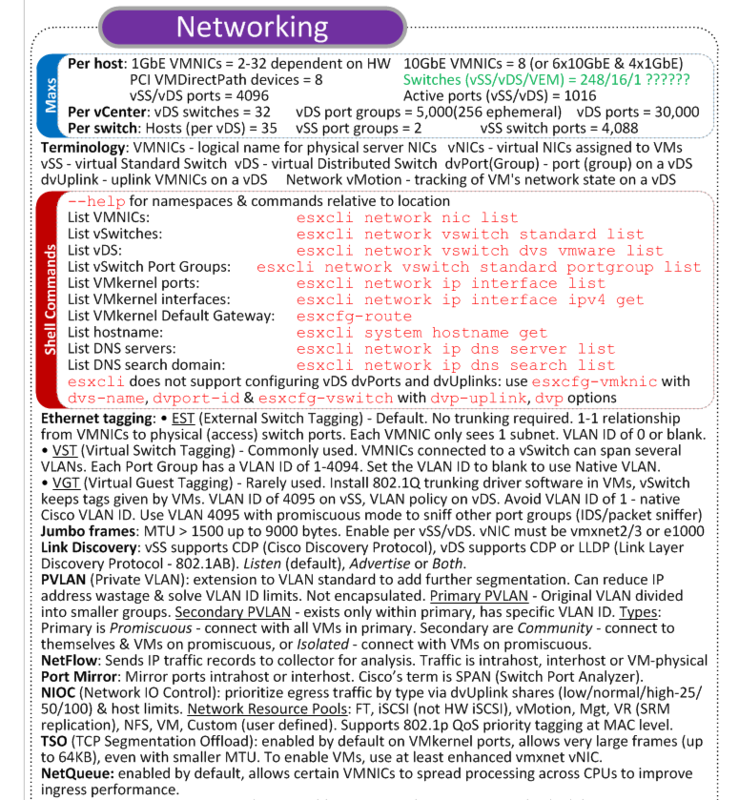 Here is the first preview of the vSphere 5 vReference Card – the networking section. I’d love to hear any of your feedback. Just drop your comments below or catch me on twitter (@forbesguthrie). Click on the images to see them full size, or you can view/print it as a PDF.